Malaysia Airlines operate over 50 single-aisle Boeing 737-800s on its domestic and regional routes. Most of these aircraft feature the new Malaysia Airlines livery and are equipped with Boeing’s sky interior and personal AVOD (Audio and Video on Demand). There are two versions of the 737-800s with one holding a total of 166 and the other 160 passengers, but both have 16 business class seats. The new Sky Interior features changing LED lights to suit the time of the day and creates a spacious, inviting and modern cabin. This new design also allows for larger overhead stowage bins so passengers (especially those in Economy) have a much better chance of storing their carry-on near their own seat. Configured in a 2-2 arrangement, Business class recliner seats offer 42 inch pitch and 21 inch width (larger than most full-service carrier premium economy seats) that compares to 30 and 17 inch respectively in Economy. Basically this means the seats are spacious, comfortable, offers plenty of space to stretch out (I’m 180cm tall) and perfectly fitting for relatively short flights. For entertainment, there’s a 10.6″ AVOD screen on the back of each seat presenting the latest movies, TV shows, music, games and flight info, plus the added comfort of noise cancellation headphones (though you may need a few tries before getting a perfectly working one). There’s also in-seat power so you can charge your own tablet or smartphone. Malaysia Airline cabin staff are known for their hospitality and greets all Business Class passengers personally, followed by welcome drinks, newspapers and refreshing hot towels. Chef-on-call is not available on the 737-800s but on the longer flights (e.g. 2-4 hours) a three-course meal with a choice of three mains is served with a selection of fresh bread and beverages. Taste is debatable but overall fine. The highlight, as I’ve covered in previous reviews, is Malaysia Airlines’ divine satay which becomes the main and only meal option on shorter flights (e.g. 1 hour). Depending on the flight, there are two choices of meat, between chicken, beef or lamb. Irrespective, they are the best satay in the sky. Back in the terminal, connecting from an International to a Domestic flight (or vice versa) is fairly straight forward at KLIA. Generally International flights arrive into the Satellite Building, then you’ll need to take the Aerotrain to the Main Building where you can transfer to the Domestic gates. Checked-luggage can be checked directly to your final destination. There are a few shops at the Domestic Terminal but very limited F&B options compared to the Satellite Terminal. For Business Class and high-status frequent flyers, this really isn’t of concern as Malaysia Airlines operate a dedicated Domestic Golden Lounge. The Domestic Golden Lounge is one of three Malaysia Airline operated lounges at KLIA (Domestic/Regional/International) and was only recently renovated and reopened in November 2014. Though the light-filled lounge is the smallest of the three lounges, it offers plenty of comfortable lounge seating with a view, shower facilities, WiFi, reading material, a light buffet and massages (for a fee). All-in-all a great place to freshen up before the next flight. Unfortunately Domestic Lounges in Malaysia are currently restricted to Kuala Lumpur, Kota Kinabalu, Kuching and Penang. Plaza Premium fills the gap with lounges in Johor and Langkawi but Malaysia Airlines doesn’t have an agreement with them so even Business Class passengers will have to pay to access. Some of Malaysia Airlines’ 737-800s are noticeably newer than others and it really depends on your luck which one you’ll get but being short flights it’s not that much of a concern. With 24 orders/options on 737-800s, older planes will be phased out and replaced over time. 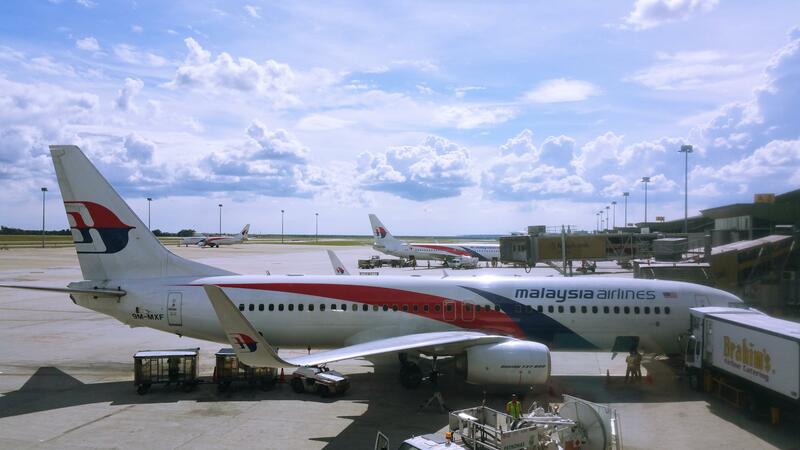 Read my review on Malaysia Airlines’ A330 Business Class and International Golden Lounge.